Another game, another record set by Ray Parks on the same Olivarez floor. 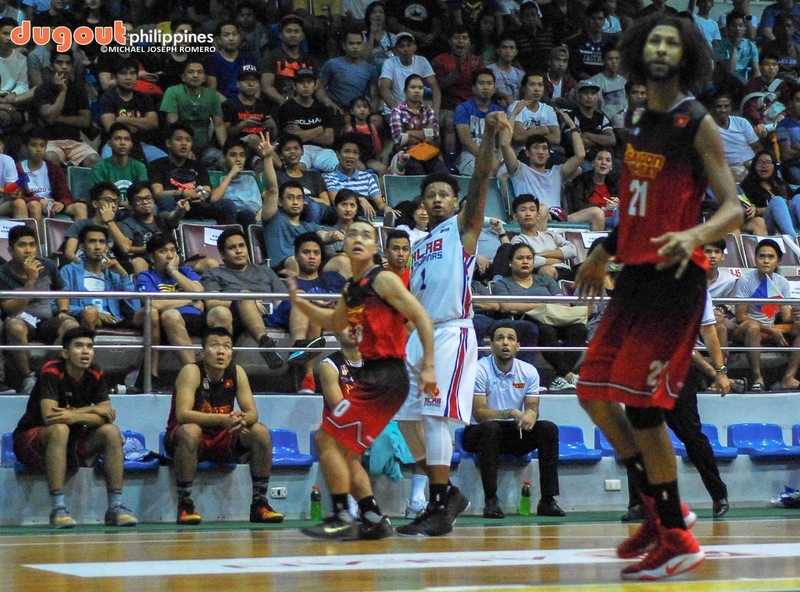 PARAÑAQUE -- For Bobby Ray Parks, there is no place like home. Having spent his childhood here, Alab's leading scorer was joking at after shooting the lights out en route to another record setting game in a beating of Saigon Heat last Friday night. "Home court siguro," Parks quipped, and later told that he had played the early parts of the game with a bad shoulder. "High ang mga emotions namin. Parang aggressive na aggressive, gigil. Sa mga practices, medyo nagkakasakitan na kami pero nagawan ng mga coaches ng good job para kumalma kami," the former NBA D-Leaguer said. He later told that the self-imposed social media blackout immensly helps him in getting back his on-court focus, which led to the biggest win by Alab this season. "Sobra! Of course, I made promises and commitments to everyone, especially to the fans who are willing to interact," Parks concluded.